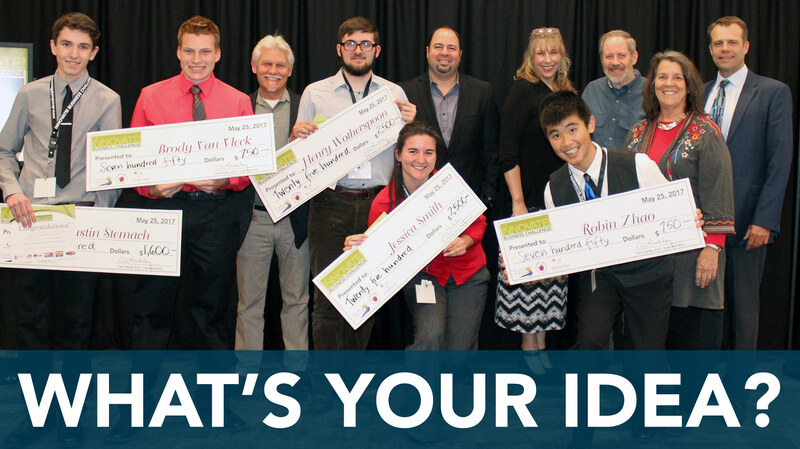 This event celebrates youth entrepreneurship, creativity, and innovation by providing high school students the opportunity to share their ideas for creating new start-up businesses in Humboldt County. Competitors first brainstorm their innovative product, service, or business and present them by uploading electronic elevator pitch videos, which are judged by selected community members. Semi-Finalists are then chosen and given the opportunity to receive entrepreneurial coaching as well as answer 13 business-plan-related questions. Up to seven finalists are then selected and invited to attend an Evening of Inspiration, where they present their business concepts to a panel of judges. Following their prepared presentations, the judges ask each of them challenging questions regarding their business plan concepts. Family members, educators, and members from the business community also attend. Winners receive monetary awards that are able to be used as seed capital for their new businesses or toward education. Recent winning business concepts have ranged from unique clothing designs to specialty agriculture to eco-friendly fire starters.